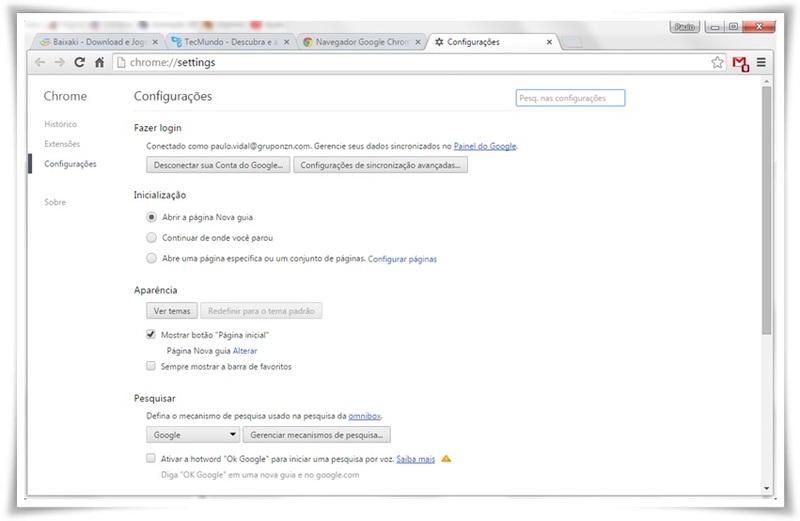 This version of Google Chrome is not compatible with your operating system, veja a versão compatível. Google Chrome is one of the best and most used browsers on the market. Google's browser brings a minimalist look and tools to any type of user. You can sync your bookmarks and extensions on multiple computers by just signing in with your Google account. If you like to customize the browser, it brings a store full of add-ons to enhance navigation. One of the practices that drove the growth of the browser was the adoption of shorter development cycles. 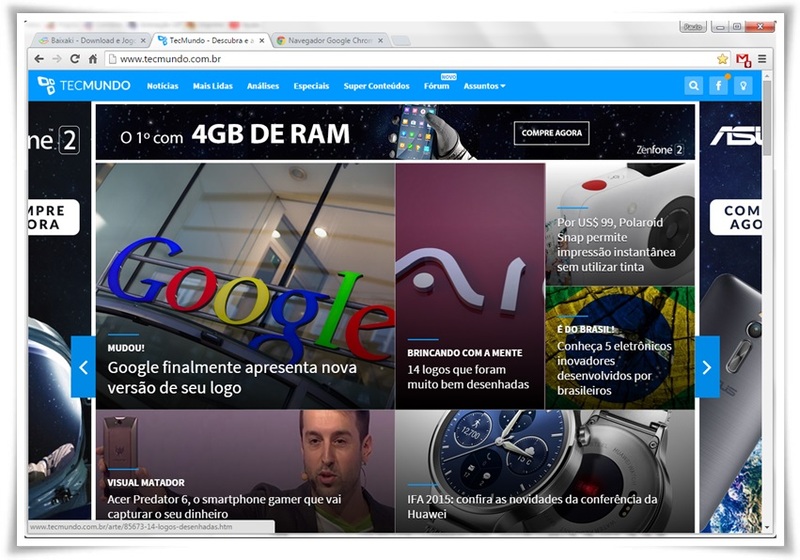 Every two months, approximately, a new update of the final browser version is released. Thus, it can present improvements in a more agile and efficient way. In addition to security fixes and improvements in general, updates continue to bring new features that make life easier for the user. Highlight the new interactive tab functions and Flash content blocking on secondary tabs. You do not have to download the new update every time, since Chrome has a system that automatically detects this type of update and you only have to restart your browser when it indicates that a newer version has been found. These updates usually bring security fixes, so you can check the log for each in Chrome Releases . Google Chrome is a browser that promises fast and practical performance for users. It works by using tabs at the top - just like your biggest competitors - and it brings a variety of security solutions, including an anonymous browsing option that leaves no trace on your computer. You can customize Google Chrome with skins, which are found in the browser extensions store. There are several options that only change the background or completely change the color of your browser window. If you sign in to Chrome on other computers, the skin and other settings are synced immediately. Another interesting tool is Chrome's built-in Task Manager - shown in the image above - that shows all the tabs that are open and the services that are running, such as extensions. If your browser is slow, just open this feature and see what items are consuming more memory, so they are disabled. This button opens a page with all the links to download and install Chrome, including an option for Windows 64-bit and even the links to use the browser on your phone. The installation and use of this alternate version of the browser is completely the same as the 32-bit version, and is just an internal difference to improve the performance on your machine. Google Chrome is one of the leaders in the browser market and is an interesting option for those who are looking for a minimalist, discreet look that has several security settings and advanced settings. It has some performance issues on low-memory computers, but even this can be solved by turning off extensions and using the built-in task manager, which shows exactly what is slowing your browser down. Although not a unique feature of Chrome, Google's browser continues to bring new insights to navigation and interaction with tabs. You can fasten, duplicate, reload, close all tabs on one side, or reopen closed tabs. In addition, following the trend of other programs in the market, Chrome is now able to block Flash content in secondary tabs, preventing ads or animations from playing in the background and improving browser performance. Google even highlighted in the release of version 53 that Chrome now consumes much less battery than in its version a year ago. In a comparison running continuous web video on two identical notebooks, the device running the Chrome 53 managed to get a little longer than two hours running the clip without shutting down for lack of power. In the latest versions of Chrome, few changes were made in its look, which always remains with the same simplicity as always. Although it is interesting to see changes in the visuals periodically, Google's strategy is to keep the browser as practical as possible, which includes "wiping out" the visual details that are not clearly useful. That is, Chrome follows the trend of showing as little as possible so you can better enjoy the pages and have more space to see the content that matters - something especially interesting on small screens. It does not mean, however, that it's not a pretty browser: Chrome's minimalist design combines beauty and functionality. If you want, however, you can use skins that change the look of this browser, leaving it with your face. This possibility is interesting for those who prefer a more robust look. Google has also done a great job when it comes to browser security - something that never hurts. The company has committed to improving the identification of malicious files when you download and fix the vulnerabilities found as quickly as possible. Another interesting feature in this sense is the way of monitoring users through the supervision system. With it, you can restrict access to certain websites and even change browsing settings, increasing the protection of those who use the browser. Recently, the browser even allowed these settings and data to be imported to other computers. Anonymous browsing is not a Chrome exclusivity - all major browsers allow some kind of use that leaves no traces on the PC and network - but it's still worth noting this positive point anyway. It is not 100% non-traceable, as is Tor , for example, but it is already an interesting form of day-to-day security. In the latest updates, no agility improvements have been indicated in the logs, but it is undeniable that the browser has improved its time to load simple pages and HTML5 with each new version released. Benchmarking proves this, showing a performance superior to that of the most recent browser, including its big competitors. The memory consumption of the system by the browser, however, seems to remain the same. Still, it remains more efficient than many famous browsers in this regard. If you're having trouble with RAM consumption in Chrome, check to see if there are too many extensions installed on it, this usually compromises browser performance. In our tests, Google Chrome did not show any performance issues, either in loading its own interface or in websites. However, this depends heavily on external factors such as the processing power of your PC and the speed of your internet connection. It's also interesting to note that Chrome seems to be an important part of Google's plans to fully integrate all of its services. In addition to the traditional Apps for Desktop for its core services and Google+ notifications, the browser now also has a voice search tool similar to the present one in Google Now, Android. Another interesting integration is that you can login with your Google account and open all your bookmarks and settings on any PC. Other browsers have also followed this trend, which means you do not have your online browsing stuck to a single machine.